Currently an online student? Go to your e-courses page here! Get six videos a month including full-length oil painting lessons, studio tips, challenge lessons, resource video libraries, and more. Cultivate your creativity brilliantly with bold color and lessons that never expire. Created for painters of all levels, you'll get monthly critiques, live Q&As, challenge paintings, downloadable studio tips, color guides and palette maps for oils and acrylics, and conversions and guides for acrylic painters. Memberships start at $39.99/mo. 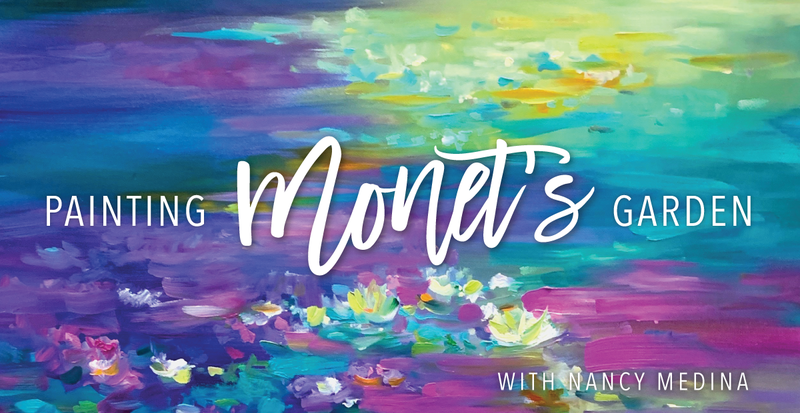 Follow your heart and join me this summer for my newest journey workshop, Painting Monet's Garden. This online class will embrace the colors and blossoms of the most beautiful gardens in Giverny. Registration will be open for only a limited time, so stay tuned, flower friends ~ your Garden Journey awaits! A full-length lesson to keep! 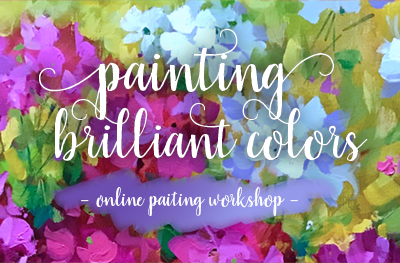 Want to try out one full-length online painting? Santa Fe Blue Window is here! Download and keep your lesson, and immediately get $100 toward the purchase of Paint Brilliant Santa Fe. You'll also get a video tour, challenge lesson, beautiful images to download and keep, and more. 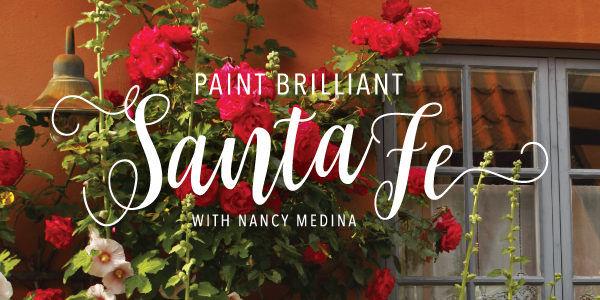 Join me in Santa Fe for all the color you love! Filmed on location in the Santa Fe, New Mexico, pack your brushes and leave your passport behind for full-length painting lessons you can download and keep. Filmed in the Land of Enchantment, you'll get video tours, studio tips, beautiful images to download and keep, and much more. 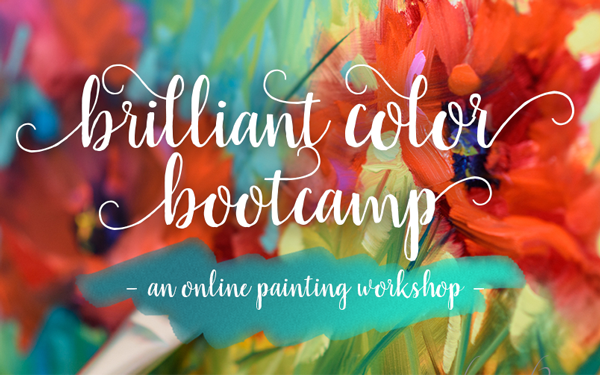 You'll get two additional full-length lessons filmed in the studio, for all the color you love! 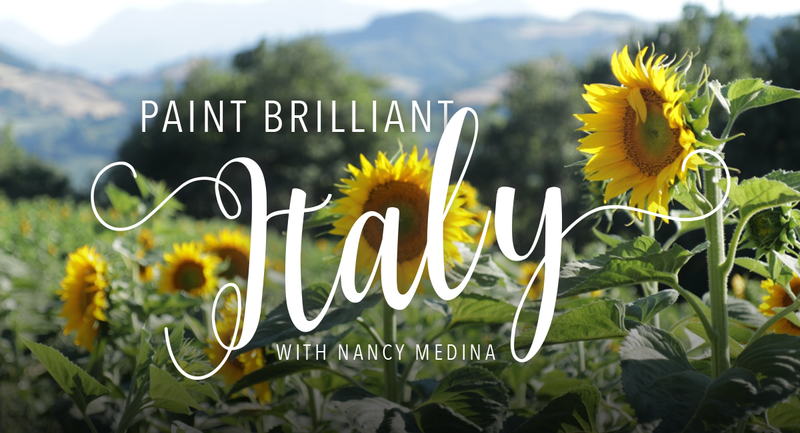 Filmed on location in the heart of Italy, pack your brushes and leave your passport behind for seven full-length painting lessons. Fueled by the magical light and centuries-old passion of the birthplace of the Renaissance, your Italian painting journey includes tour videos, studio tips, and magical images from the Le Marche region. This is your first step in creating powerful color. 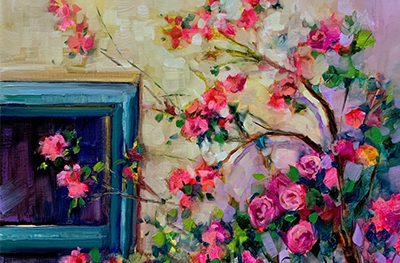 Featuring five full-length painting lessons, this 5-week Painting Brilliant Colors shares all of Nancy's favorite color mixes and her singular step-by-step approach to building powerful color in everything you create. For the essentials in color theory and composition, dive into seven full-length paintings in brilliant color. This 5-week online class features the Color Games, designed to guide you through lessons in temperature and value and five weekly lessons on composition and design. Included are bonus paintings, video tips and much more. 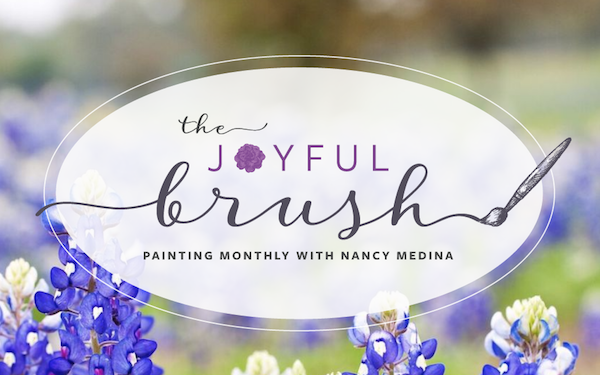 Join Nancy for seven full-length painting lessons in brilliant color. 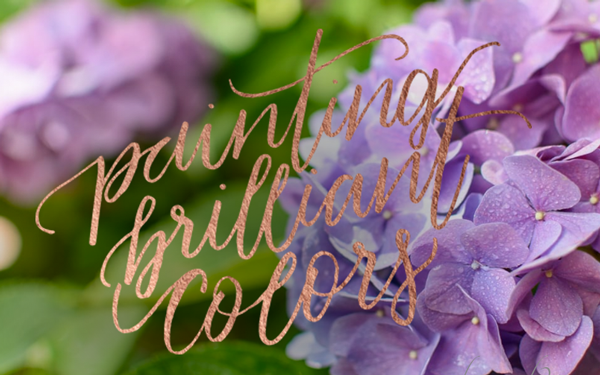 This is the more advanced class in the series, for those ready to dive into superpower color and add a little sparkle into everything you create. This 6-week online class features tips for layering colors for eye-catching results, and the tools you'll need to keep moving forward in your art journey. so you don't miss any e-course announcements.